I love scones. Scones were the first non-Italian sweet treat that I made when I moved to the US. They were also the first non-Italian treat that I made for Wally, knowing how much he loves them. The first time he tried them, he took a bite and exclaimed:” These are soooo good, Amore!” Since then, he just can’t eat store bought ones. Not even those made in good bakeries. Those rare times he has a craving and buys one, he kind of regrets it. He knows that they will never be as good as the ones I make. At least, that’s what he says. I usually don’t have much faith in my skills but I have to admit…I do make good scones. I don’t know if I would think they are better than any other scones you find around….but they are usually pretty good. That said, I don’t know why I never make scones with Carla. I made them the second time I’ve met her but never again since them. It was time to fix the situation but I did not want to make the usual chocolate chips scones so I went for maple cinnamon ones. I know she loves both maple syrup and cinnamon so it sounded like a great idea. I adapted the recipe from The Salty Spoon. I have to admit, though, that I would not consider these to be the best scones I’ve ever made. The texture was simply fantastic: so soft inside with a nice slightly crunchy outside. But the flavor was a bit “whatever” (as I say when something does not really gain my favor). I think they need something else….maybe more maple syrup. I don’t know, I need to work more on them. In the meantime, they were a great start to remind me why I love scones so much. 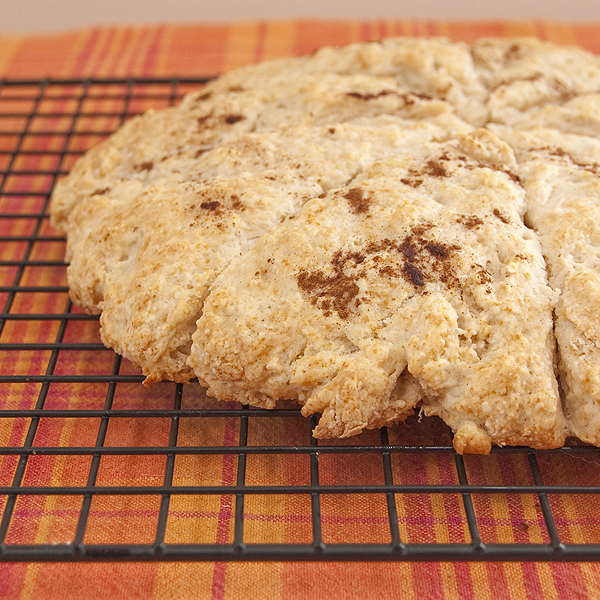 If you guys have a great maple cinnamon scones recipe, I would be super happy to hear about it and try them again with Carla. Preheat the oven to 400F degrees and prepare a baking sheet with parchment paper. In a big bowl, combine the flour, the sugar, the baking powder and the butter and quickly mix with the tips of your fingers until the butter is coated with the dry ingredients. As usual in the case of scones, don’t overwork the dough so be sure to be very quick. Add the milk, the sour cream, and the maple syrup and quickly stir, just until the ingredients are combined. Finally add the cinnamon and stir again until the dough just stays together. Turn the dough onto a lightly floured surface and knead just a few times until the dough is a bit more compact. Transfer the dough onto the prepared baking pan and pat it down into a disk. Cut the dough into 8 parts, making sure you don’t go all the way down into the dough with the knife. With a pastry brush, coat the dough with little milk and if you want top it with some extra cinnamon. Bake for about 15 minutes (I needed to bake it for about 20 minutes but my oven slightly under-bakes!). Let the scones slightly cool down on a cooling rack before serving them. They sure are best when they are still warm! I usually make scones over the weekend when I have more time to bake in the morning before everyone is out their PJ's. love the addition of sour cream, and maple syrup and cinnamon sounds delicious. I simply have to stop reading your blog at night. 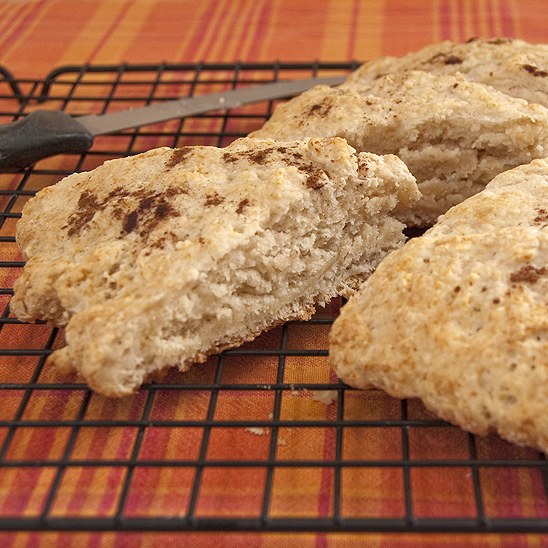 It is a bad bad influence- all I want now, from the bottom of my heart, is a Maple Cinnamon Scone. Not fair- but definitely beautiful. Well bummer. I saw what you made and got all excited, but if the flavor isn't up to par, it's not something I want to make. I love the thought of a maple scone though. Maybe we'll need to start scouring the web for the perfect flavor to go with your perfect texture? They look fantastic even if the taste isn't just right. Your scones look soo good. Maybe if you tried maple extract, it would give the scones a more intense maple flavor, along with the maple syrup. Just thinking. These sound heavenly! 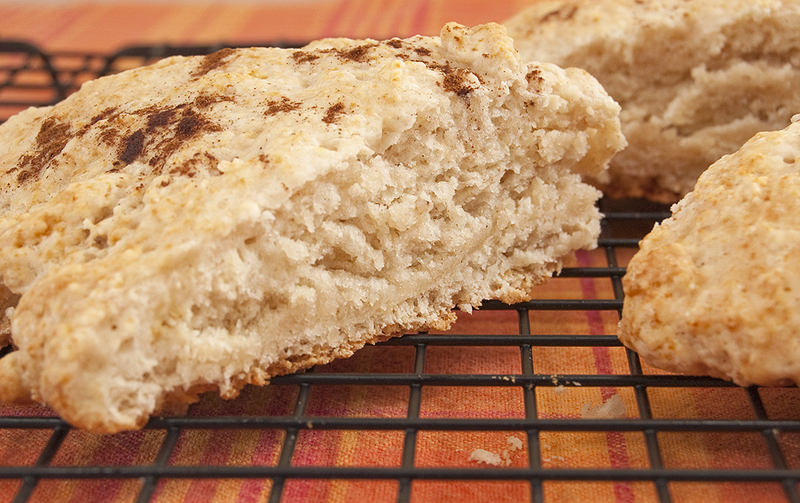 Scones are one of my favorite treats, and the maple/cinnamon flavor combo sounds wonderful! OH they look so good ... Maple and cinnamon = heavenly! I love maple and cinnamon together. They look wonderful, hopefully you'll figure out a way to make them even better! :) I just adore your posts about baking with Carla. Definitely needs more maple syrup. I made the Barefoot Contessa's maple oatmeal scones and they are fabulous. 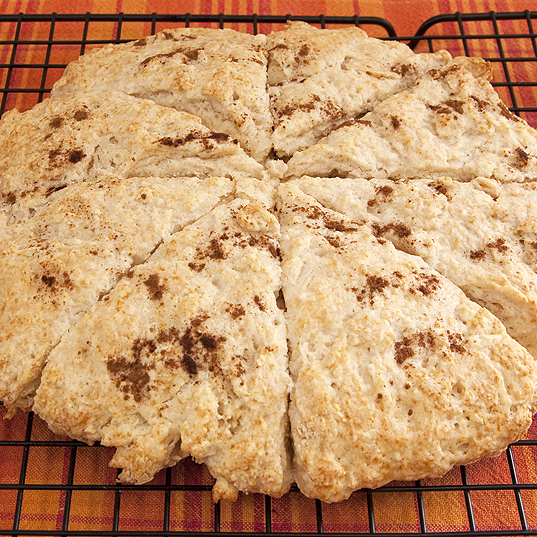 Here's a link http://www.recipesfrommymom.com/2011/01/breakfast-with-ina-maple-oatmeal-scones.html Maybe leave out the cinnamon and let the maple flavor come through better. mmmm, the combination sounds mouthwatering. And the photos are great too ! Those scones looks so light and fluffy, I want to climb into them! I love your baking with Carla exploits. Okay, on more careful reading, I see that you thought they needed more. Well, they look great! Perhaps you could amp up the flavour with a little maple extract? Or how about sprinkling maple sugar across the tops? I love scones! The flavor you and Carla made sounds fantastic to me. I have never heard of maple extract...will definitely have to keep my eyes open for that one! Well they're not what I call scones but they still look delicious! My cooking club loved making scones last year - yours and Carla's look wonderful! They still look beautiful. I wonder if pure maple extract would make a difference. Fabulous post and recipe - these look absolutely delightful!! These look great to me. I do prefer my flavors a bit stronger though too. I have never made scones with maple, but I'd love to do some experimenting. So glad you got to see Carla. I've been so crazy moving everything to my new site, I've been slacking on the commenting. Come have a look. Hope you have a great weekend. I love scones! These look lovely! I adore making scones - they are just perfect for a Saturday or Sunday morning. The flavors you combined are perfect. Enjoy this rainy weekend!